It’s a passion for the human condition – her need to experience empathy for others on the most fundamental level and to share in the richness of people’s shared experiences – that propels Jenny forward as an artist. She has been fortunate to channel this passion into a variety of professional artistic disciplines, including work as an actor, singer, musician, dancer, composer, conductor and teacher, for her entire life. Born and raised in Calgary, Jenny’s first experiences with performing arts included accordion lessons starting at the age of five, as well as numerous choirs. She attended the University of Calgary, receiving the Chancellors’ Club Scholarship (the first time the full academic scholarship had been awarded to a student entering the Fine Arts program), and completed a B. Mus. 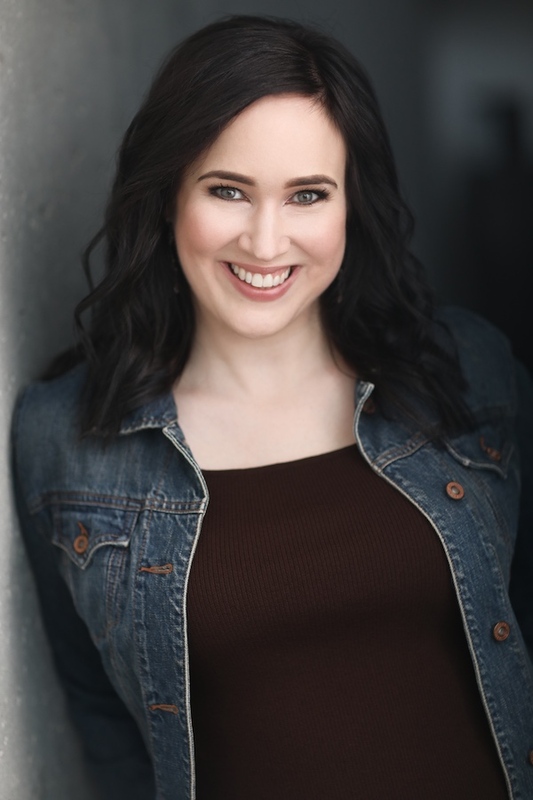 in Vocal Performance concurrently with a Diploma in Music Performance at Mount Royal College…but spent the vast majority of her time in the U of C Drama Department, completing a Minor in Drama and realizing that was where she was meant to be all along. In February 2006, Jenny moved to Vancouver to pursue artistic opportunities beyond her hometown. She first sang for nine seasons with the Vancouver Chamber Choir, one of North America’s premiere professional choirs, and worked as a private music teacher, conductor, and cabaret/concert vocalist. When five years had gone by without any involvement in theatre, Jenny knew a shift in focus was necessary, and has spent the past few years arranging her schedule to allow maximum opportunities to pursue her passion for acting. Since then, Jenny has counted herself fortunate to work with several outstanding theatre companies in the Lower Mainland and beyond. Recent selected credits include Hamelin: A New Fable (Axis Theatre), Rodgers and Hammerstein: Out Of A Dream (Patrick Street Productions), The 39 Steps (Metro), and Gay’s The Word (Applause; 2014 Ovation Nomination, Outstanding Female Lead). Other favorite credits include Parade, The Laramie Project, Anatomy Lesson, Rockin’ Out!, Les Belles-Soeurs, The Lorca Trilogy, and her original work, No Suspenders Here. Jenny has participated in masterclasses/workshops/private lessons with Adam Guettel, Robert McQueen, Arnold Mungioli, Peter Jorgensen, Julie Tomaino, Lori Ravensborg, Joe-Norman Shaw and many others – she adores being a continual student of the art she loves. Jenny also has a passion for instrumental work and composition. The musical she composed with book/lyrics by Andrew Wade, TITUS: The Light and Delightful Musical Comedy of Titus Andronicus, won the 2015 Vancouver Fringe’s “Pick of the Fringe” award, received an Ovation Nomination for Best New Work, and is being remounted at the York Theatre. She has played both accordion and piano on a professional level, and continues an active career as a freelance vocalist and music teacher. Jenny loves a long hike, a great “foodie” experience, a heart-to-heart conversation, a new country to explore, and a chance to pour out her thoughts in writing.